Jungle of real estate lions. Sea of money sharks. River of negotiation pirahnas. You defeated them all! Now is the time of rejoicing. Let's just go through some interesting details before we open the Champagne. Less fun stuff first (can you read this out loud!?). Be aware that notary have their load of legal blabla. As I don't like to sign unnecessary things, I went through every tiny details of the purchase document. "The buyer takes note that walls' micro-cracks due to material withdrawals and the ones that could happen between material couplings of different natures won't be considered as construction defects." Or "There are construction supplying companies that have pledges on your building that will last four months after you enter it. You give up the right to ask warranty to the seller about this point." I asked them to remove these sentences that were not acceptable for a new construction. I discussed with the notary and my financial institution, and they all told me that it was standard stuff and that in this situation, with this real estate constructor, there wouldn't be any issue. I had two choices: fight against an established notary and real estate guy, or accept and sign right away. I went for the latter. Out of trust in those people, and fatigue about all these steps, I signed. When I think about it, more than a year later, I still can't believe that people get paid to write such clauses. I wonder in what lawsuit we would have ended if one of the constructor supplier would have went on bankruptcy... If anyone in the room has such legal background, I would be happy to hear about you! Back to our comfort zone! Now is time to show off your damn money!!! Our transaction was split into two parts: the first downpayment to lock down the purchase in July (we agreed on a bit less than 10% of the total value), and the second one when we got the key and signed at the notary in February (the remaining 90%, that included transaction fees). If you happen to buy your home via a forward sale mechanism — i.e. you buy the property now but will be the owner in a few months with the final signature — you have to transfer your first downpayment when you go at the notary office for the lock down signature (pro tip: make sure to transfer it a few days before the meeting, so to be sure it's on the notary's bank account when you sign). For us, this signature happened two weeks after we closed the deal with the constructor. We agreed on a payment of CHF 60'000. If you need to unlock money or accounts, keep in mind this forward-sale situation where you may need cash before the final signature. That was quite a thing to click on the "Transfer" button with such an amount! Then there is the D-day when you get the real estate property ownership transferred under your name. When you actually get the key. We used some remaining cash and money from our second and third pillars for this second transaction part. Don't forget to split your withdrawals on two fiscal years to save some money. One thing to notice is that this cash gets directly sent to the notary account — you never see it on your bank account. Another question that bothered me: when do you need to transfer the last part of the cash? Do they need it a long time before the D-day, which means I have less time to save? Thankfully no. You just need to make sure it's on the notary's account when you go to sign — else I think the real estate transaction couldn't happen. Who gets what money in the end? I wondered how the transaction taxes should be paid. Should I pay some cash to a separate tax entity? Would I receive a notary fees invoice a long time after the purchase? It's actually quite simple: you, the buyer, transfer all the money to the notary who then handles the distribution to the constructor, the tax office, and themselves. Or is it a real estate one? I don't know. Yet it's usual that the seller invites the buyer for a celebration coffee or lunch after the signature. We got the coffee — I knew I should have bought a mansion! I'm sure that the info you looked for in all this serie is the Champagne brand that MP recommend to celebrate such an event, or isn't it?!? Congrats for your patience. The announcement is now! 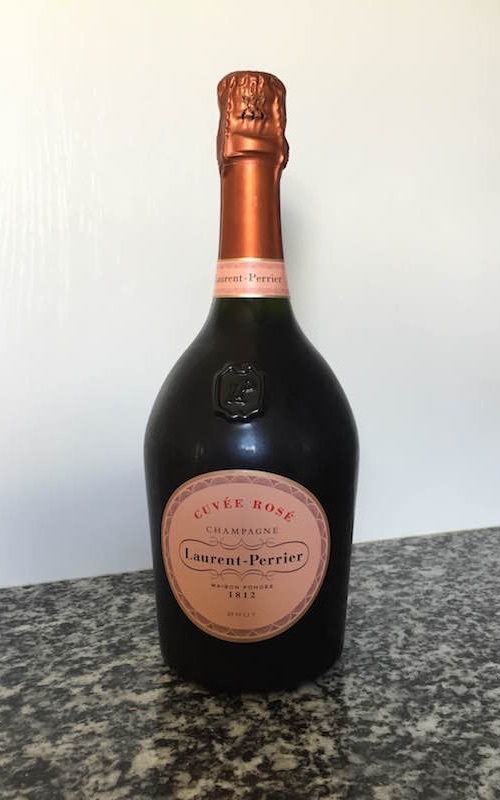 We chose the preferred Champagne of my wife: a Laurent Perrier Rosé. As tasty and fancy as the bottle looks like! Congratulations for your purchase. Now is time for the cool (and stressful) part: customization of your property. We were lucky to be quite aligned with Mrs. MP but still, it was quite an experience. We will cover all the details of this design phase, and share all what we learnt along the way. If you're on your way to home ownership (or already a home owner), let us know about notary or downpayment specificities you might have encountered in your case — as well as your preferred celebration liquid!